Rolland Barthe once wrote about Tokyo. “Tokyo also has its own core. 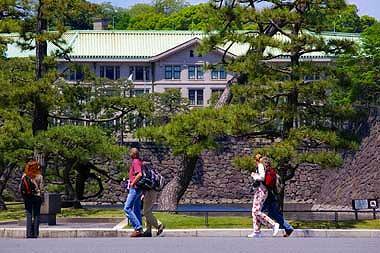 But it is sort of a vast nothingness” He meant the Imperial Palace by the word of core. 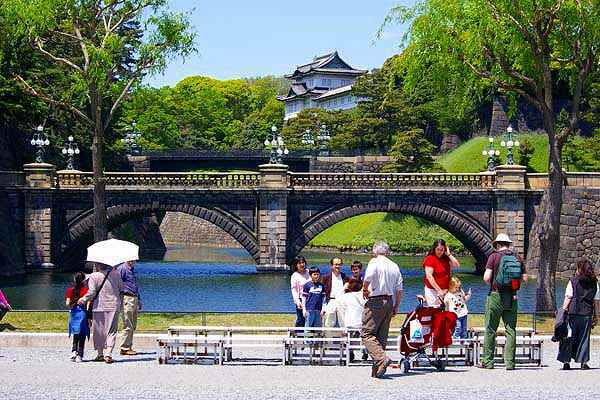 The reason seemed that the Palace had occupied a vast area in the center of Tokyo and forbid ordinary people to enter, therefore it seemed to be not existing to ordinary people’s eyes. 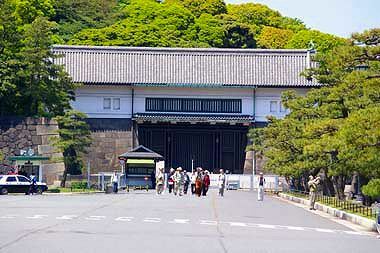 The site of the Imperial Palace had been Edo Castle-the seat of the Tokugawa Shogun. 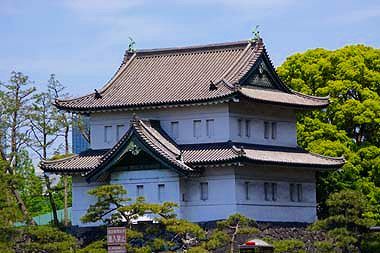 After the Meiji restoration during which the Tokugawa Shogun was overthrown, the Imperial residence was relocated from Kyoto to the current site and the new Imperial Palace building was constructed in 1888. 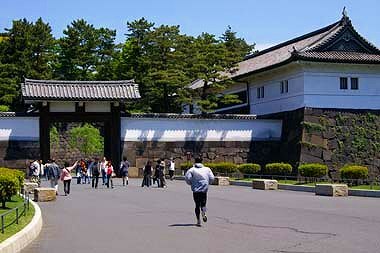 The palace was destroyed by US bombing during the second World War and rebuilt in the same style. 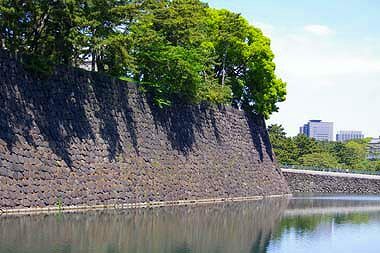 The Imperial residence is surrounded by moats and massive stone walls. 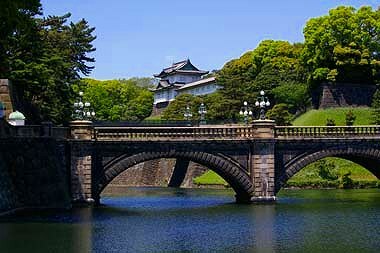 Among many bridges over the moats, Nijubashi (Double bridge) is most popular. 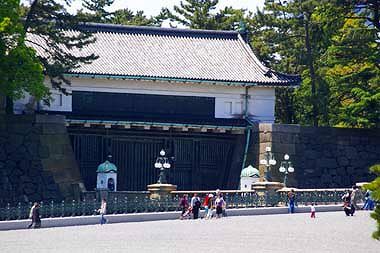 People go across this bridge and enter into the Palace. and the new palace building seen over the moat. 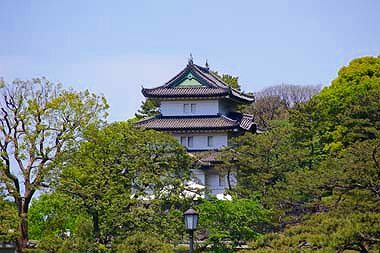 Some old watch tower of the Edo Castle can be seen today over the moat.